Here is a first glance at the cover of my next book, Spud & Chloë at the Farm! I have seen this new book popping up in places here and there so I want to jump in. We are all so excited for the release of the first Spud & Chloë book. It will be available for purchase in April 2011 so there is still a little bit of a wait. As the time gets closer to the release date I will start sharing more of the projects, sneak peeks, behind the scenes silliness and some of the contents of the pages within. One thing that is really fantastic about this book is the unusual concept. It is a freshly coined “Knit and Read” book! The book has a completely new concept that will add to your knitting book experience. 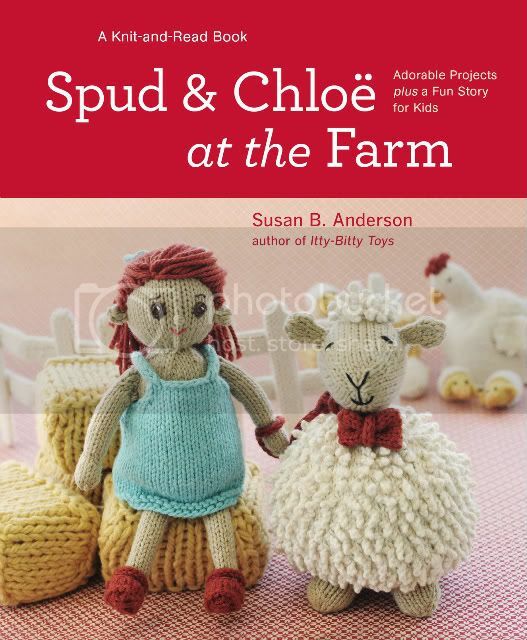 Spud & Chloë at the Farm is a knitting book with patterns for 13 adorable animals and farm accessories but it also includes an illustrated children’s story. I am so incredibly excited about this aspect of the book. Amy Cartwright, a talented illustrator, took my storyboards and story text and made the most adorable Spud & Chloë and their animal friends illustrations to go along with the story. As the patterns are presented to the reader so is the cute little story line. It is printed in full length cartoon-style at the end of the book. It is just fun, fresh and cool. I am very excited and proud of this collection of knitted toys. I hope you will join in the farm fun with me! The book is available for pre-order on places like Amazon and Barnes & Noble and other big booksellers. It will also available in all of your local yarn shops that carry Spud & Chloë yarn and products. 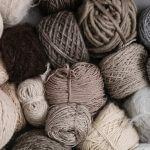 I am sure you could request to pre-order with your favorite yarn shop at anytime. Make sure you support your local yarn shops that carry our Spud & Chloë goodies! Click here to see my new book on Amazon! Click here to see my new book on Barnes & Noble!